← Is There Grace in Being Refused Absolution? 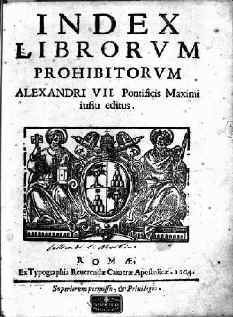 The church’s censorship drive started in earnest with the Roman Inquisition in 1542 to combat the Reformation. That office was soon overwhelmed, however, because the combination of the printing press and prolific Protestant authors sparked a publishing explosion as influential in its day as the Internet information boom has been in ours. 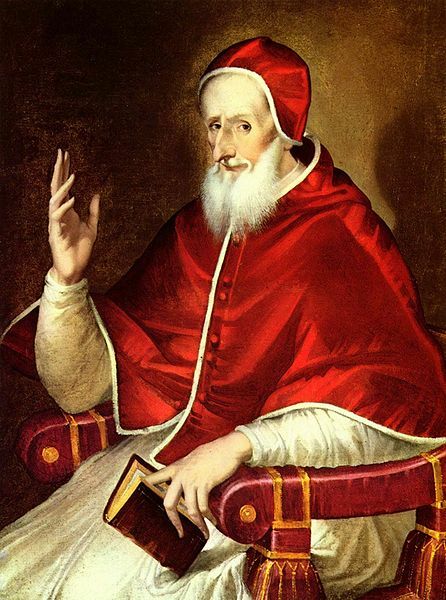 So the Vatican launched a separate office, the Congregation of the Index, in 1571 to deal just with books. The idea of censoring heretical writings dates back to the early centuries of the church but was not formalized as a papal power until Pope Leo X did so in 1515, during the Fifth Lateran Council. Two years later, Martin Luther nailed his 95 theses to the church door in Wittenberg. Within weeks, they were printed in Leipzig, Nuremberg and Basel and distributed widely. The first Index, as one might expect, published in 1559, banned all books by Luther, Calvin and other Protestant reformers. Since translating the Bible into vernacular tongues was a Protestant specialty, all Bibles but the Latin Vulgate were banned. The Talmud and the Koran were also taboo. But the Index didn’t stop there. It also drew up lists of books that should be purged of passages that conflicted with church teaching. Classical writers—including Plato, Aristotle, Cicero, Virgil, Homer, Euclid, Hippocrates, Thucydides and others—were put on the expurgatio list because they reflected pagan beliefs. Books translated by Protestants had to be filtered for offending passages. In some cases, a book only had to be printed in a “Protestant” city to earn a place on the list of objectionable works. The Index originally planned to produce purged editions of about 300 books but only managed to do about 50. After this confusing start, the Vatican decided to aim just at books denounced to it as dangerous. The Index Congregation met three or four times a year in Rome. 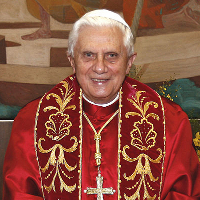 Two “consultors” were named for each book being surveyed, and their findings were discussed at a meeting of the cardinals in the congregation. 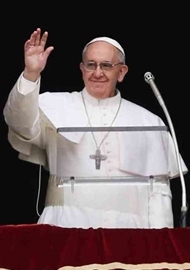 The congregation’s decision was then brought to the pope for approval. This produced a vast accumulation of files, written in Latin or Italian and divided into the Diarii, which recorded the congregation’s sessions, and the Protocolli, with all sorts of other papers. The Inquisition congregation met weekly but handled only 2 or 3 percent of the censorship cases, usually theology books. The Jesuits and Dominicans dominated the ranks of censors, and each order tried to make sure it was not outnumbered by the other. The treatment of Harriet Beecher Stowe’s novel Uncle Tom’s Cabin (1852) revealed the censors’ narrow cultural focus. “Uncle Tom’s Cabin was not reviewed as long as it was only available in English. […] An Italian translation turned up in the Papal States and was denounced to the Index because Stowe was a Quaker and thus presumably “spreading the Protestant poison,” as the denunciatory letter put it. As the archives show, one consultor argued for a ban, although he had apparently not read the book. The other had read it in English and gave a spirited defense of its goal, the abolition of slavery. “That is exactly what we Catholics want,” he declared. “Have you forgotten that we learned all humans are descended from Adam and Eve and are God’s creatures?” He also produced papal denunciations of the slave trade to bolster his argument. The case against the book was dismissed. Sometimes simple common sense prevailed. One consultor wanted to ban Germany’s first popular etiquette book, Adolph von Knigge’s On Conversation With Men (1788), because the Freemason author based his rules on rational thinking rather than Christian morals. All his opposite number had to say was that the church would look ridiculous if it banned a guide to good manners. That ended the discussion. Equally surprising is the fact that the censors ignored three of the most challenging authors of the 19th century—Darwin, Marx and Freud. It is not clear why, but Wolf’s hunch is that the Vatican narrowed its focus after condemning Galileo for saying the earth revolved around the sun. “We suspect—but haven’t proven it yet—that the Inquisition and Index mostly did not review scientific publications unless they clearly touched on theology, faith or the Bible,” Wolf, [an expert on the Index], said. The censors could react firmly when science and religion met. John Zahm, C.S.C., a professor of chemistry and physics at the University of Notre Dame, tried to give a Catholic interpretation of Darwinism in Evolution and Dogma (1896). “Zahm was immediately condemned as an Americanist, a modernist,” Wolf said. He had to withdraw the book from publication to escape a ban. One book that was studied closely but never banned was Hitler’s Mein Kampf. The Index condemned The Myth of the 20th Century by the Nazi ideologue Alfred Rosenberg in 1934 and examined Mein Kampf for three years, but it balked at taking on the chancellor of Germany. “According to the Catholic doctrine of the state, Hitler came to power fully legally,” Wolf explained. “So they applied St. Paul’s letter to the Romans, Chapter 13, which says all state authority comes from God and must be obeyed.” In the end, the Vatican worked its critique of Mein Kampf into Mit Brennender Sorge (“With Burning Concern”), Pius XI’s 1937 encyclical about the challenges the church faced in Nazi Germany. If you read any of this lot, you were excommunicated, or so it seems. How can anyone claim to be informed if one hasn’t read the works of these men? For what it’s worth, (very little to be sure,) the Index was one of the main items that made Toad quit the Church in the late fifties. He wanted to read Sartre, particularly. Funny that “Uncle Tom’s cabin” is on the blacklist. I’ve put my opinion on the Index in another thread — which is that it became obsolete almost immediately after the invention of printing. There was some practical purpose to it when books needed to be hand-copied, by providing lists of works that monks were forbidden from disseminating by copying, which is a straightforward and defensible purpose for issues of ordinary religious discipline — and one that became entirely pointless after the copying process itself was almost entirely mechanised and automated. If Jabba‘s right – and who could doubt it – when the Index started censoring, in 1559, it was already rendered about 100 years outdated and pointless, by Guttenberg’s invention in 1450. And yet, it persisted entirely pointlessly, into the 1960’s. Makes one wonder how many other aspects of Catholicism are 500 years out of date and entirely pointless. Well, it makes Toad wonder. Lists of forbidden works existed long before 1559 — that’s just when one was first printed in book form. I do however agree with the irony that you’re pointing out.